Whether you want to make a good impression in interviews, need a new perspective on your portfolio, or want fresh eyes on a current project, we’re here to help. Ink & Pixels is one of AIGA Baltimore’s largest events of the year, with a focus on helping designers prepare for a career or career shift. This September, join us for a day of professional development, including full portfolio reviews, during AIGA EMERGE Awareness Week. 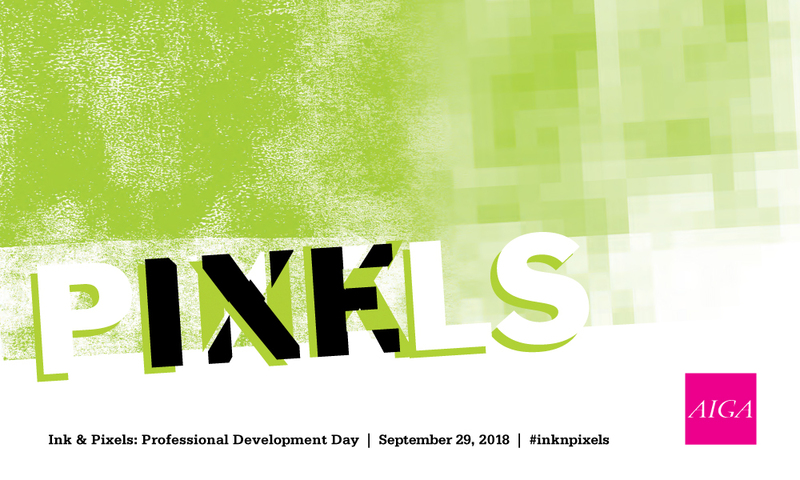 AIGA Baltimore and The Creative Group will be co-hosting Ink & Pixels 2018: Professional Development Day on September 29, 2018, from 12:30-5:00 pm at UMBC as an in-depth follow up to the Ink & Pixels 2018: Creative Review held in April. The event coincides with EMERGE Awareness Week (September 24-October 3), a national AIGA event under the EMERGE 2.0 initiative that aims to provide designers who are 0–5 years into their careers with customized events, experiences, and content that will advance their career paths and create tangible opportunities. A special focus of EMERGE 2.0 is reaching new, more diverse, non-traditional and underrepresented audiences in partnership with AIGA’s Diversity & Inclusion Task Force. Charlotte James, Director of Outreach and Communications for Common Curriculum (a local ed-tech startup), will be moderating the panel and town hall discussions on issues relevant to the emerging designer. Here’s your chance to get face-to-face answers to those questions you’ve been Googling. You’ll join your choice of 3 roundtable discussions with experts on a variety of topics such as resume and cover letter writing, building a social media presence, interview preparation, salary negotiations, business skill development, employment resources, networking/visibility tips and website content strategy. Put your best work forward with two full portfolio review sessions. Local seasoned creatives are eager to meet and connect with you while providing personal advice on how to best showcase your amazing work!